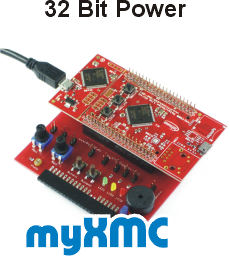 The STM32F4-Discovery helps you, to find out the functions of STM32F4 and it make applications easily to develop. 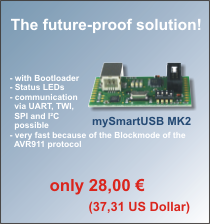 For beginner and advanced it enables a fast induction at the ARM technology. 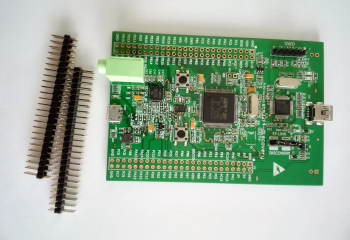 The STM32F4-Discovery used the ARM Cortex M4 controller STM32F407VGT6 and includes embedded an ST-Link/V2 for the programming and debugging, an 3 axes acceleration sensor, a digital microphone, an audio-DAC and an USB micro-USB-connection. 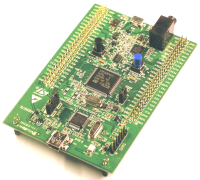 On the board is a ST-Link/V2 for the programming and debugging. 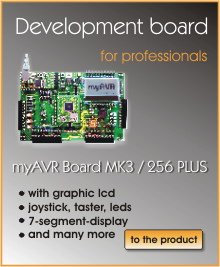 A big quantity of free available, ready executable examples plus the original-data sheet of the manufacturer are on www.st.com/stm32f4-discovery available.